Hard to believe that we have all now been home for nearly a month, where has the time gone? This also means that our cars are well on their way home too, and that it might be time for a quick update to show you where they all are in the world. 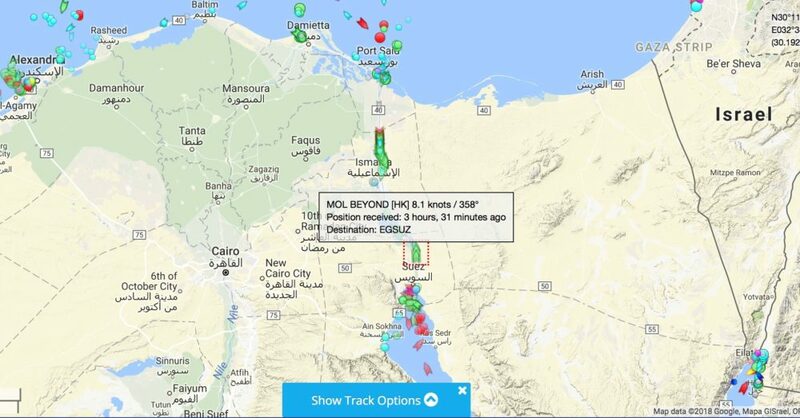 They are all aboard the Mol Beyond which is currently negotiating the Suez Canal. She is due to drop off Bruno’s, Jean and Anne’s and Gerry and Corry’s cars in Rotterdam on the 21st April and then goes via Hamburg and Antwerp to the London Gateway port to drop off the UK cars on the 28th April. That’s the latest position of John and Marian’s MGB GT. 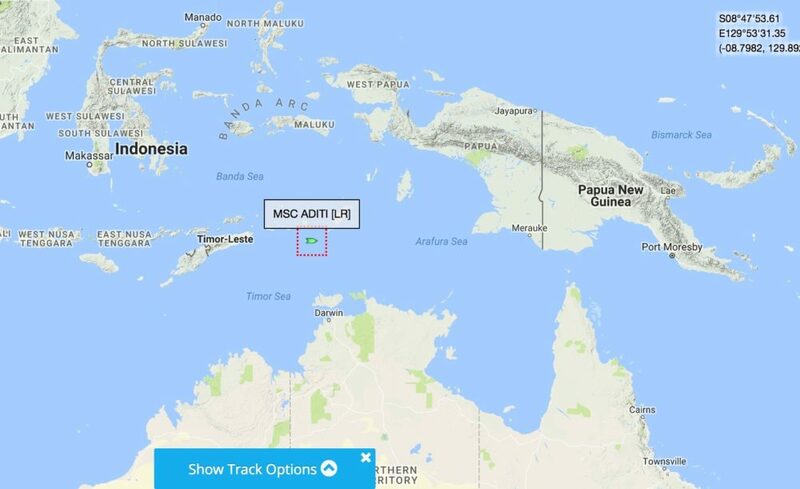 Currently just north of Darwin it left Singapore on the 6th April and is due in Brisbane on the 19th April. 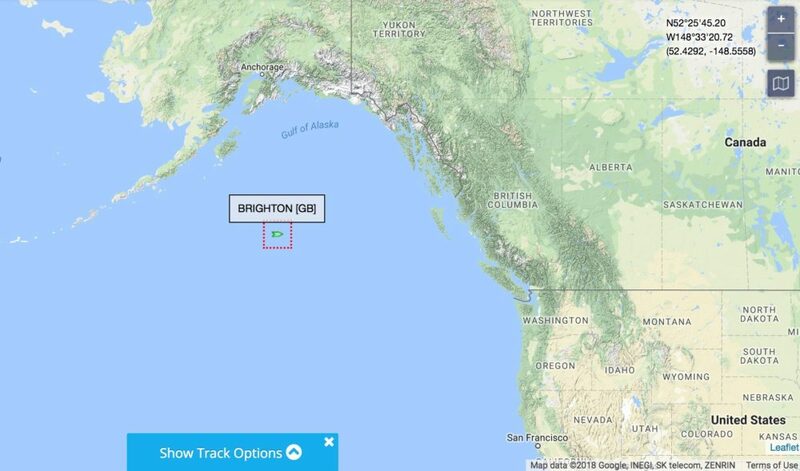 The Brighton is carrying David and Adele’s “Vicky”, having left Taiwan on 31st March and is due into Vancouver on the 17th April. 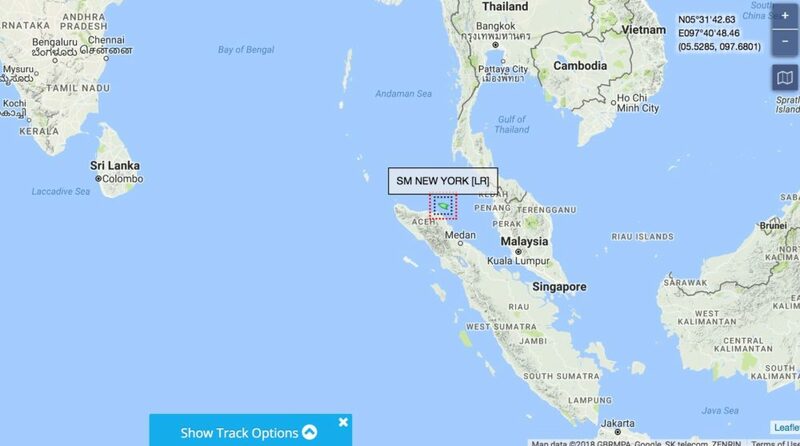 Paul’s truck is aboard the SM New York just clearing Western Sumatra heading for Colombo in Sri Lanka tomorrow. It is due in Coega South Africa on the 29th April and in Capetown on the 9th May. What a fabulous post for a ‘month after’! I have been missing the GRO connection very much.